On view: A selection of graphite drawings from award-winning animation film “Beautiful”. 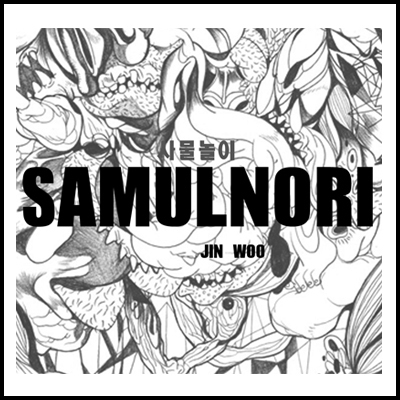 Jin Woo is a young South Korean artist now living in Berlin. Analysing the societal system in which she grew up as successive movements of bodies subjected to an overload of information and communication flows, she has been developing a series of staggering 2D animation films that have been presented to various international film festivals in the past 4 years. Based on thousands of delicate yet uncanny drawings starring humanoid creatures, her films violently depict the struggle of the people faced with the government.